axes are on everyone’s mind this time of year. Whether your clients are deciding what to do with their refund or frustrated by how much they had to pay, you need to use this opportunity to show them how proper tax planning pays off. I understand that you don’t like to pay taxes—who does—but they are a fact of life. Your clients will pay taxes on most of their investments, income, and savings during either accumulation or distribution, now or later. What you should focus on is that while we all have to pay taxes, you can get clients income that is stable, guaranteed, and does not fluctuate with the market or interest rates. There are also some ways to get TAX FREE income in retirement as well. 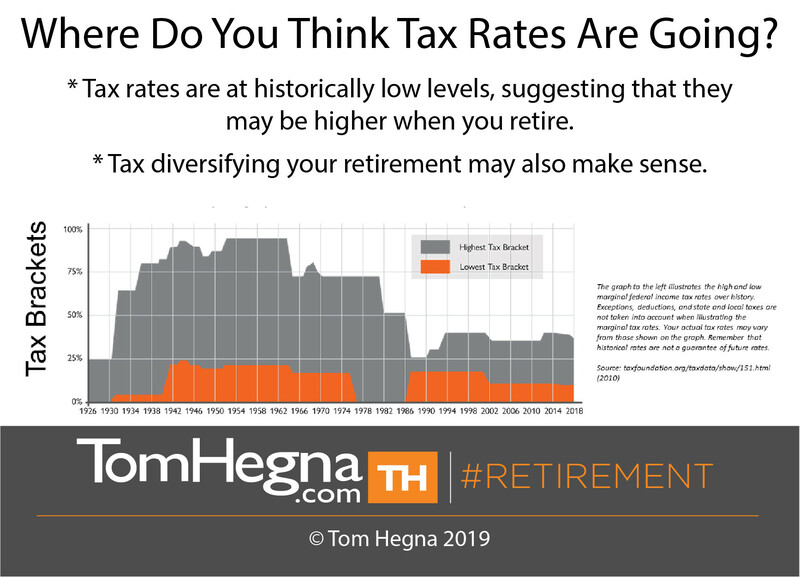 Retirement is all about mitigating risks, and if your clients don’t plan properly, all their taxes could add up to a suboptimal retirement due to taxation risk. Get their affairs in order now so they can actually enjoy their retirement next April. Let me make taxes on annuities and life insurance very simple to understand. There are thousands of annuities in the marketplace today, but all of them can be separated into two broad categories: immediate (or income) annuities and deferred annuities. To confuse the issue, there are deferred income annuities as well, but for this article, let’s focus on the two broad categories of annuities and two types of life insurance. An immediate annuity works when a lump sum is paid to an insurance company. Historically, payments began immediately, but, as I wrote Paychecks and Playchecks, a number of companies allowed those income payments to be deferred up to 40 years. With income annuities (SPIAs and DIAs), if it is non-qualified money, you will only pay taxes on a portion of the paycheck. There is a very important exclusion ratio—basically, you do not pay any taxes on the portion of the check that is considered to be your principal. This can be a HUGE tax advantage to a retiree. Just be aware that once their full principal has been paid out, the ENTIRE check will be taxable from that point on. And, of course, if it is qualified money, the entire check will always be taxed. Now, some people get confused between how SPIAs and DIAs are taxed and how income and withdrawal benefit riders of deferred annuities are taxed. They are taxed very differently after all. With a deferred annuity, there are zero taxes due until you take money out. When the money comes out of the annuity (whether a withdrawal or income rider), the gains come out first, so it is possible that the checks are fully taxable for months or years, depending on how old the contract is and how much of the annuity is considered gain. However, once the gains have been withdrawn, any principal withdrawn will not be taxed (again, I’m talking about non-qualified money). Qualified money is always taxable. Immediate and deferred annuities are two very broad categories of the thousands of annuities available, but the specific illustration will show how much of the income is taxable. Term and permanent life insurance each come with entirely different benefits, policies, upsides, and downsides. Remember that doing your due diligence is an essential part of structuring a successful retirement plan, but here are the basics you need to understand about the taxation of life insurance. With term insurance, you make premium payments for a fixed amount of coverage (your death benefit) within a specific period of time. It is important to note that premiums for new term policies rise with your age, and because there is no cash value, there is no real taxation concerns. The death benefit is generally paid tax free to the beneficiaries. With permanent life insurance, there are two main components to consider: the death benefit and the cash value. The death benefit is generally tax free, but the cash value of permanent life insurance grows tax-deferred, and can provide tax-free income in retirement. There are different ways to leverage this cash value, so you’ll want to explore your options. Just know that you can have coverage while also benefiting from tax-deferred cash value and future, tax-free income. Your clients should NOT have all of their money in 401(k)s and IRAs—talk to them about tax diversification. Maybe contribute to a 401(k) up to the match, but then put the rest of that into a Roth IRA or permanent life insurance to get future, tax-free income. Taxation risk in retirement is only one of the many parts of your plan to consider, but the first step to managing that risk is actually sitting down with a profession to start planning. You will need to consider all of your needs and which products suit those needs, and during that process you can include taxes in order to optimize your plan. 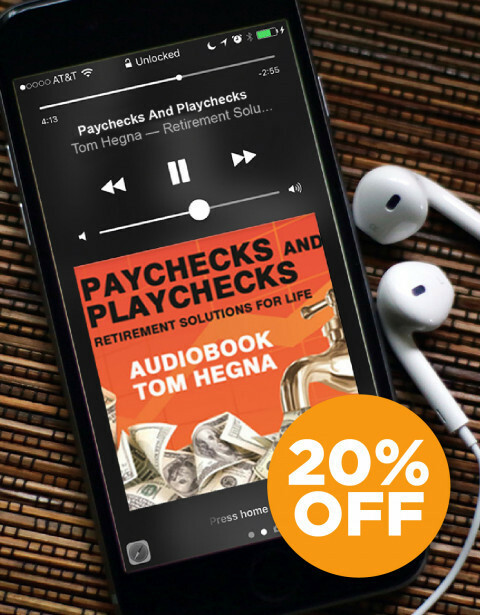 For a more in-depth discussion on annuities and life insurance, review Paychecks and Playchecks: Retirement Solutions for Life. If an advisor or their client hasn’t read it, they are creating a suboptimal plan. Don’t let taxes make your retirement less than what it could have, would have, or should have been!